Measles in Children is a very contagious disease caused by a virus that spreads easily through the air. Direct contact is not necessary for the disease to spread. The virus can survive in the air for a several hours. Being in the same place as an infected person who is contagious for a short period of time can be enough to catch the infection and then develop the illness. Yes. Vaccination is the best way to protect yourself against measles. The vaccine has been available and in use for about 30 years. It has proven to prevent and control measles, mumps and rubella. It is very safe. Most people have no reaction to the vaccine. Local reactions at injection site can occur but are short-lasting. 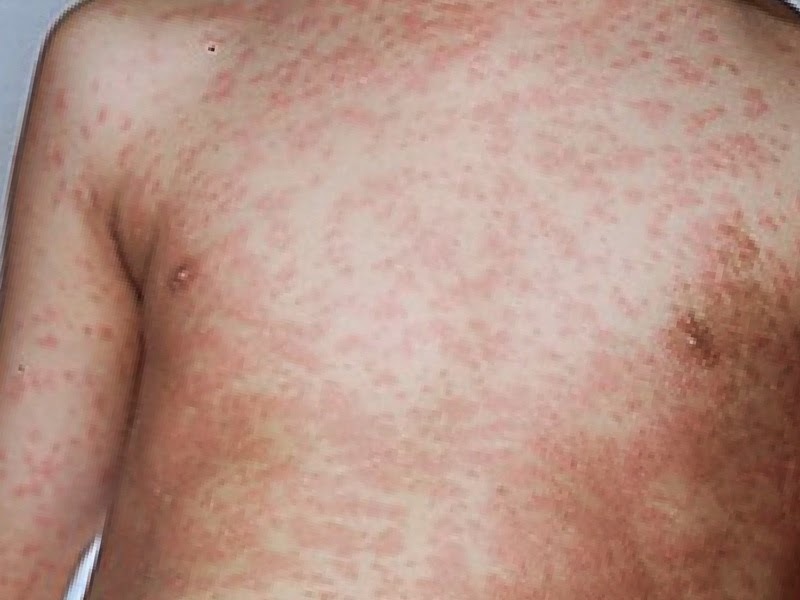 Sometimes a person can develop fever and a temporary non-contagious rash 5 to 12 days after vaccination. Other side effects can also occur.